Powdered aluminum is used to create silvery metallic and interference effects. Aluminum powder is lightfast, but it must be protected from oxidation. Under normal conditions, aluminum metal is protected by a thin layer of oxides that forms on the metallic surface. Aluminum is an abundant element, but it occurs naturally in non-toxic forms as a mineral oxide, not as a metal. 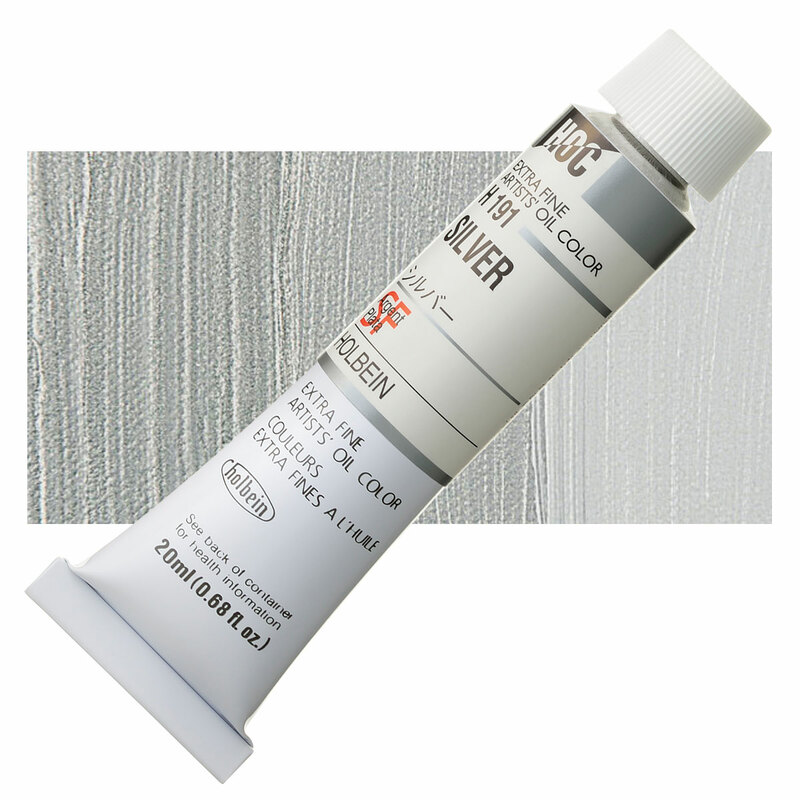 Aluminum metallic powder is considered safe when it is suspended in an acrylic binder, for use in specialty artist and craft paints. Aluminum metal is toxic, but ill effects are generally observed only with long-term exposure. It is not easily absorbed in the gastro-intestinal tract. It can cause irritation to eyes, skin, and the respiratory tract. Long-term exposure may lead to pulmonary fibrosis. Aluminum powder is flammable and has a low flash point. Although aluminum is an abundant element in the Earth's crust, it was a semi-precious metal until the late 19th century, when an electrolytic process was developed for extracting aluminum from the mineral oxide forms in which it naturally occurs.